Have you heard of Dr. Ray D. Strand, M.D.? Neither have I. Until my good friend lent me this book. It's truly an eye-opening piece of work for me. Page 8, "After reviewing medical research studies, I have absolutely no doubt that my patients who take high-quality nutritional supplements have a health benefit over those who don't." Page 13, "...physicians routinely perform pap smears, mammograms, blood work, and the physical exam primarily to see if any silent diseases already exist in their patients. What has been prevented? ...If we are going to label something preventive, then I believe it should actually prevent something. I strongly suggest that true preventive medicine involves encouraging and supporting patients to take a threefold approach: eating healthily, practicing a consistent exercise program, and consuming high-quality nutritional supplements." Page 29, "Every medication I prescribe causes increased oxidative stress in the body. Chemotherapeutic drugs and radiation therapy primarily work by creating oxidative stress damage to the cancer cells, which kills them. ... The increased oxidative stress also causes collateral damage to normal cells." Page 37, " In the chapters that follow, I will lay out the medical evidence that shows how you as an individual can improve your antioxidant defense system by eating a healthy diet, exercising moderately, and taking high-quality nutritional supplements." 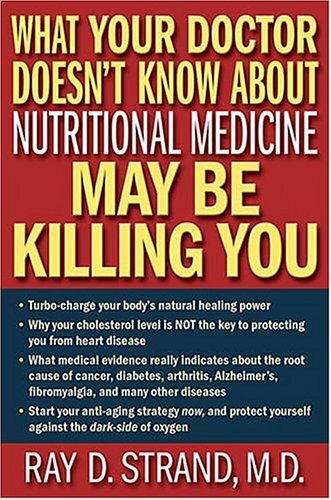 Page 50, "Physicians want to know beyond any shadow of doubt that an particular nutrient will help before they will go on record to recommend any form of nutritional supplementation. But they are missing the all-important synergistic effects of nutritional medicine. ...This refers to the way antioxidants work together. To halt oxidative stress, the body needs enough antioxidants to handle all the free radicals, and the antioxidants need all of the supporting nutrients to do their job well." Page 79, "The good news lies in the fact that medical research is beginning to support the idea of supplementation with a mixture of antioxidants and supporting nutrients. This mix can actually enhance traditional chemo and radiation therapy while at the same time protecting normal cells from toxic effects." Check out his book for the full details. Or if 204 pages of fine words put you to sleep, Dr. Ray Strand's website gives a great summary on his Concept of Nutritional Medicine: http://www.raystrand.com/nutritional-medicine.asp. If you are wondering where to find a good source of antioxidants to delay your aging, please click here now to find out the secret of how to delay aging. As for where to find a complete, natural nutritional supplement, you may want to check out this article on expert findings on bee pollen. 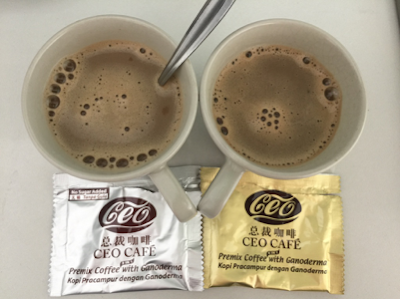 Click here to refer to Shuang Hor company website for Product Description and Price. Email me at laifuiping@gmail.com to buy.